Starbucks posted disappointing fourth-quarter earnings on Thursday, Nov. 2, to the surprise of few. It also disclosed the sale of the Tazo tea brand to Unilever for $348 million. Hold on to your latte and your stock, Starbucks lovers. Starbucks Corp. (SBUX - Get Report) on Thursday, Nov. 2, posted disappointing fourth-quarter earnings, to the surprise of few. At the same time, it sneaked in the announcement that it's selling the Tazo tea brand to Unilever plc/NV (UN - Get Report) for $348 million. The coffee giant reported earnings of 55 cents per share, on the nose with analyst projections. Revenue fell slightly short: $5.7 billion versus the Street's prediction of $5.8 billion. Global comparable sales increased 3% from a year ago when adjusted for the impact wrought by this year's hurricanes, and revenue saw an 8% uptick, thanks to 575 new stores worldwide. Analysts had predicted 3.3% same-store growth. "Continued focus on execution against our strategic priorities enabled us to gain share and positions us well for the future," CEO Kevin Johnson said in a statement. Starbucks, meanwhile, booked a big gain on its divestiture of Tazo, which it bought for $8.1 million in 1999. The reason for the sale, the company said, is to focus on a "single tea brand strategy" with Teavana. Johnson said on an earnings call Thursday that the company will focus on streamlining operations, while investing in business in China, which is expected to drive half of the growth next fiscal year. As part of the streamlining, Starbucks has cut its e-commerce platform and instead will focus on mobile order developments, innovation in food and beverage, investment in its own roasteries and gaining share of at-home coffee. 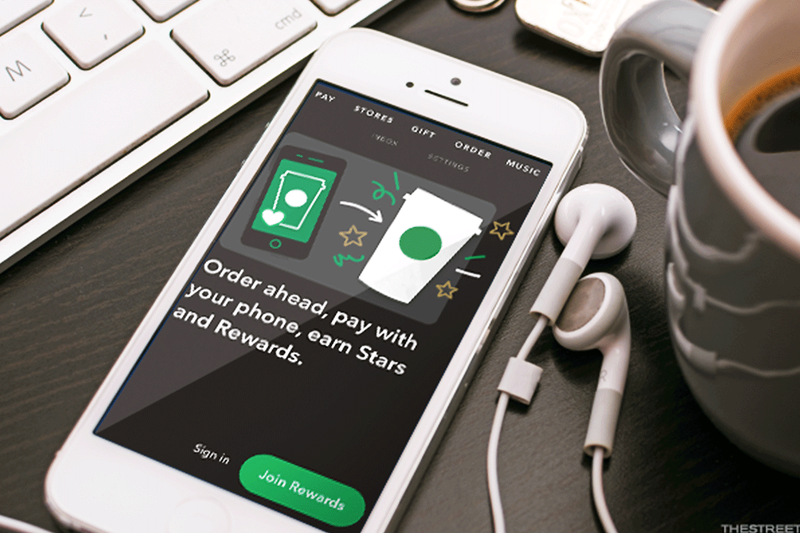 Starbucks is also developing credit and debit cards with JPMorgan Chase & Co. (JPM - Get Report) that have rewards built in. The cumulative impact of these investments, though, won't be visible until the end of fiscal 2018, the company said. Same-store growth for 2018 is now projected to be between 3% and 5%. Unilever will add Tazo to a portfolio that includes Lipton, Pukka, Pure Leaf and other brands. It said it is paying 10 times pro forma earnings before interest and tax for Tazo, which had $112.5 million in revenue over the 12 months ended June 30. Starbucks shareholders reacted to the earnings release and sale, sending shares down 5.2% after hours Thursday to $52. The Seattle company has seen quarter after quarter of disappointing earnings as foot traffic falls. Its shares plunged after it posted third-quarter earnings this year, in which Starbucks announced it would close all 379 of its Teavana shops. The Starbucks board declared a cash dividend of 25 cents per share in August and will continue with a buyback of 100 million shares, it said in its latest earnings release. Since taking over for Howard Schultz in April, Johnson's biggest feat has been aggressively rolling out mobile ordering. But in the fourth quarter, mobile order and pay only increased 9%, while mobile pay alone rose 30%. TheStreet's Jim Cramer said then he was not interested in buying the stock after chatting with Johnson. "Frankly, there was enough uncertainty in my interview with [Johnson] to not embolden me to buy back what we sold," Cramer said July 31. Management will "probably have to guide down next quarter," and if that's the case, shares could fall to $50, he said, adding "that's disconcerting."